I love Fredericton–in all seasons. But this winter has been unrelenting. 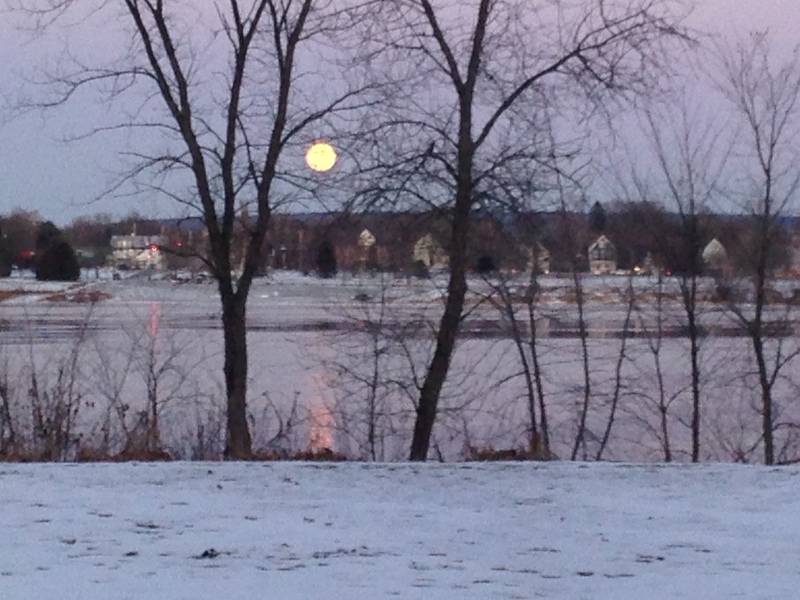 I took this photo in early December, along the Saint John river, just a few blocks from our house. The snow hasn’t stopped since then. Walking around downtown can feel claustrophobic now…the snowbanks are so much taller than I am. I’ve been listening to Buck 65’s newest album Neverlove on repeat. It strikes me as a very wintery album but, despite its fairly constant theme of relationships falling apart, it fills me with hope. Especially the track “Super Pretty Naughty,” a very cheeky parody of pop songs and pop idol culture (watch the video! https://www.youtube.com/watch?v=fTE3JyUjljQ). My birthday is coming up, and the gods know I’ll be playing that track to celebrate. I’ve also been playing a lot of Dragonette (especially Bodyparts) and Tegan & Sara (Closer, though I love their earlier stuff too). And now my son is getting into EDM, glitch hop and trap, which is all new to me. I’m finding it so energizing, in a Jenny Holzer-meets-Alphonse Mucha kind of way: LED installation meets the stunning colour and lyric beauty of Art Nouveau. Beats from the body that change with the temperature shifts. ← Welcome to my online home–like me, it’s a work-in-progress.